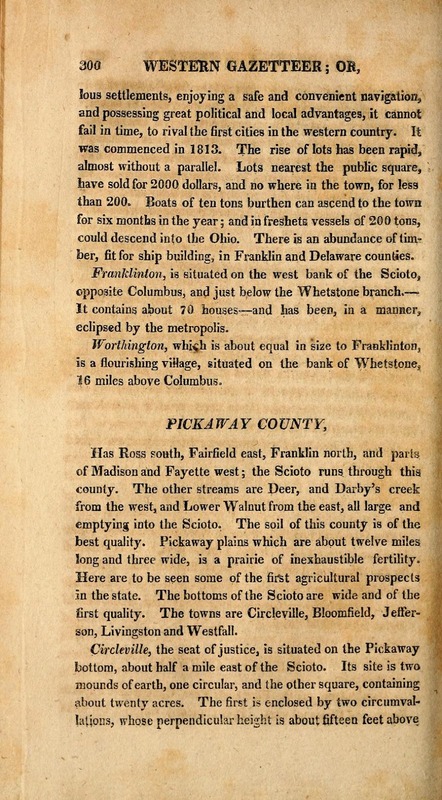 Today Columbus is celebrating the 200th anniversary of the city's founding. (The capital was established Feb 14 1812, but organized as a borough on Feb 10 1816.) 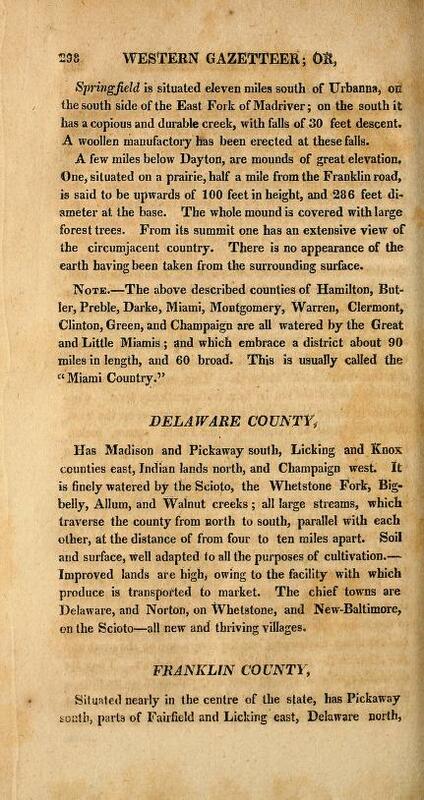 Created by the state legislature as the capital of Ohio in 1812, there were no settlers here as late as January 1813. That soon changed, as within a year there were newspapers and stores on the site of modern-day downtown Columbus. 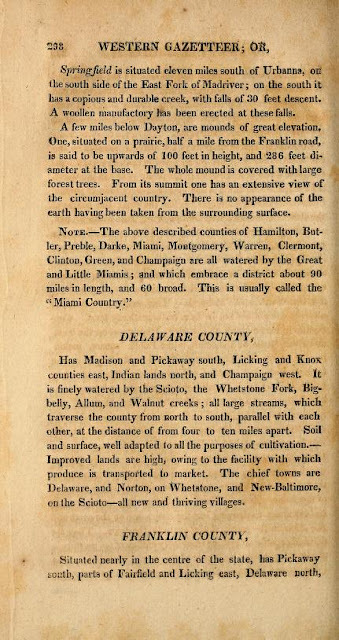 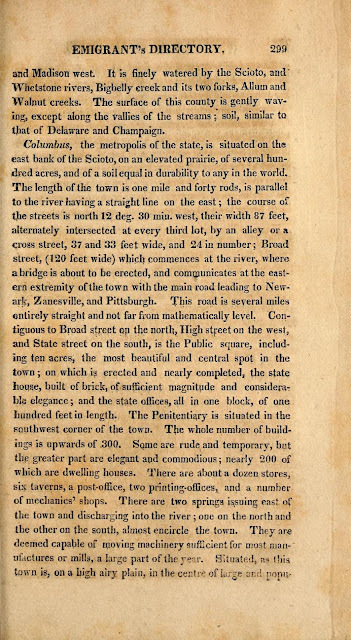 Samuel R. Brown's Western Gazetteer, a guidebook for people migrating west in 1817, provides a fascinating overview of a growing "metropolis".